Nadja Rose Catherine Salerno-Sonnenberg (born Rome, Italy, 10th. January, 1961) is an Italian born classical violinist, author and teacher. She is now a United States citizen. Nadja Salerno-Sonnenberg immigrated with her family to the United States when she was 8 years of age, relocating to Cherry Hill, New Jersey. She studied at the Curtis Institute of Music and later with Dorothy DeLay at the Julliard School of Music. 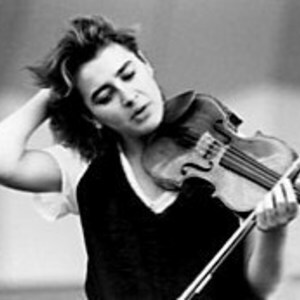 In 1981 she became the youngest ever prize winner in the Walter W. Naumburg International Violin Competition. Nadja Salerno-Sonnenberg immigrated with her family to the United States when she was 8 years of age, relocating to Cherry Hill, New Jersey. She studied at the Curtis Institute of Music and later with Dorothy DeLay at the Julliard School of Music. In 1981 she became the youngest ever prize winner in the Walter W. Naumburg International Violin Competition. She has been honoured with an Avery Fisher Career Grant (1983) and in 1999 she received the Avery Fisher prize for 'outstanding achievement and excellence in music'. Nadja Salerno-Sonnenberg was a frequent guest on NBC's The Tonight Show with Johnny Carson and has also been featured on the CBS News 60 Minutes news programme. She has also appeared on the sitcom Dharma & Greg. She has released many recordings on the Angel/EMI Classics, Nonesuch and NSS Music labels. She has performed with orchestras around the world and played at the White House. She has also performed with such popular artists as Mandy Patinkin, Joe Jackson and Mark O'Connor. She has frequently collaborated with the pianist Anne-Marie McDermott. Nadja Salerno-Sonnenberg is the subject of Paola di Florio's documentary, Speaking in Strings, released by Docurama. She has recently been named the music director of the New Century Chamber Orchestra starting in the Autumn of 2008.